Rev. Martin Magnus passed at 3:45 a.m. on Sunday, June 24, 2018, in Kitchener, Ontario. He was 92 years old. Visitation with the family: 2-4 pm on Thursday, June 28, 2018. Memorial service date: 6:30 pm on Thursday, June 28, 2018. 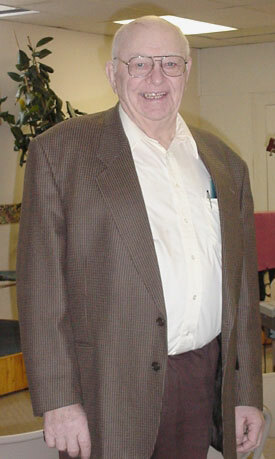 Martin was a United Brethren pastor in Ontario for 30 years and in Michigan for six years. He was also a conference superintendent for 11 years. Three times he was a Canadian delegate to the international General Conference, where he also received votes for bishop. His pastorates in Ontario included Garrison Road (Fort Erie), Stevensville, Grace (Sherkston), Stanley Park (Kitchener), Shiloh (Tiverton) and Zion (North Bruce) churches. He and his wife Lois, who passed away in 2012, raised five children. He had 13 grandchildren and four great-grandchildren. 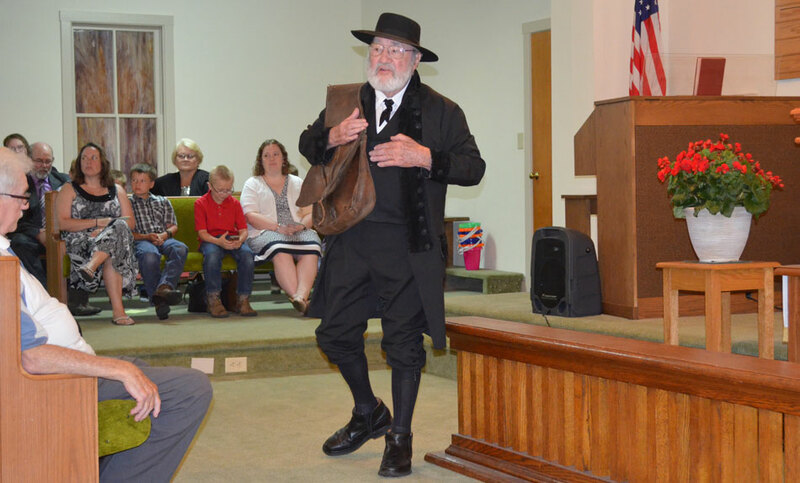 Portraying circuit-riding bishop Christian Newcomer. Memories posted on a bulletin board. Mt. 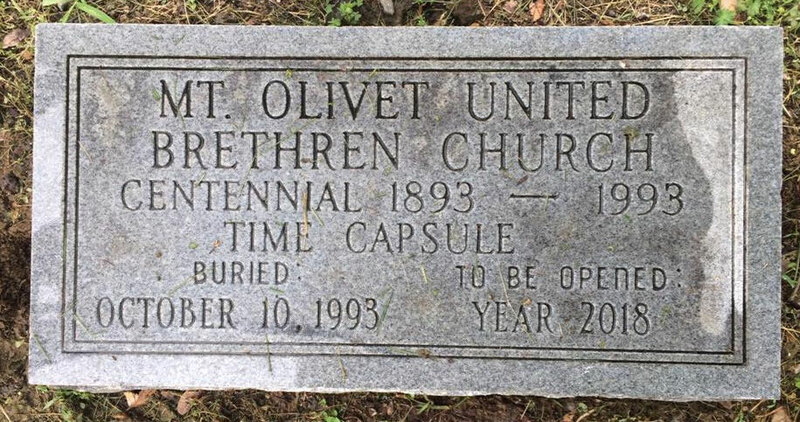 Olivet UB church (Mt. 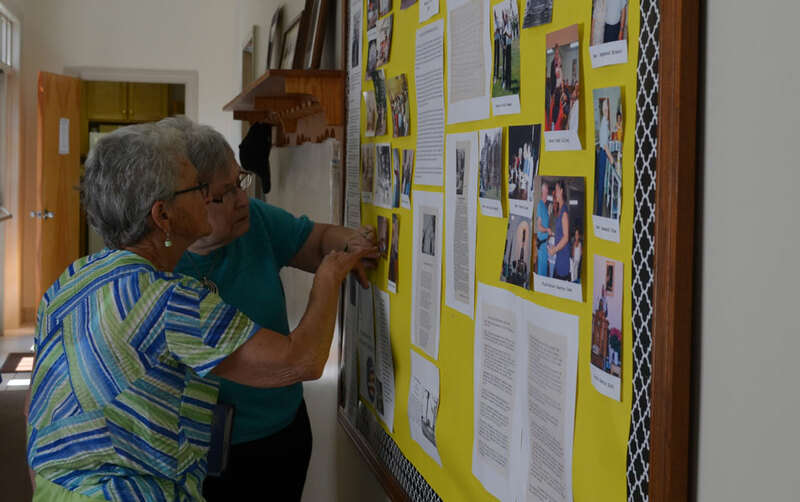 Solon, Va.) recently celebrated 125 years of ministry during its annual Homecoming service. The day’s events included a video message from Bishop Todd Fetters, recollections and testimonies from former pastors, special music, a portrayal of circuit riding preacher Christian Newcomer, a catered meal of barbequed pork and chicken, a display of many old photographs and stories from the past, the opening of a time capsule, a reading of the names of the veterans in the cemetery and taps on the bugle, and wonderful memories share with each other. We thank God for a fantastic day of worship and fellowship, and look forward to what God has in store for the future. Mt. Victory United Brethren Church is a rural congregation located near Decatur, Ind., and within close proximity to several other communities along the Indiana-Ohio border. We are looking for a bivocational pastor who will enable us to lead people to Christ, helping them follow him while serving in the church and work place–all for God’s glory. Our next pastor will be an effective communicator who possesses strong and visionary leadership gifts. The ability to work as a team and encourage/enable others to carry out leadership is essential. Skill and experience in ministering with young adults and children will be a benefit. Mt. 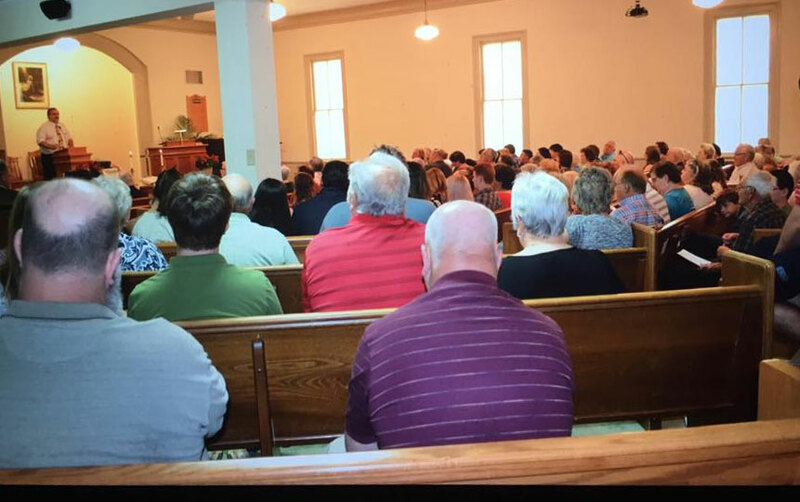 Victory is a congregation of approximately 50 people. Though small, we are financially stable and have the facilities and desire to experience significant growth over the next 3-5 years. 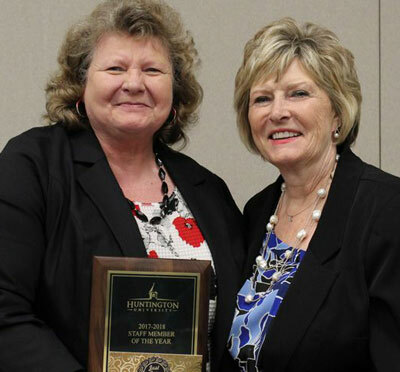 HU President Sherilyn Emberton (right) with Margaret Pasko, the 2017-2018 Staff Member of the Year. On Saturday May 19, Huntington University honored 324 graduates during its 120th Commencement ceremonies. The Commencement speaker was Daniel S. Wolgemuth, president and CEO of Youth For Christ USA. An honorary doctorate was conferred on 1980 graduate Larry Lance, CEO of Youth For Christ of Northern Indiana. This year marked the first year of graduates from the Huntington University Haupert Institute for Agricultural Studies. Each year after the academic year ends, Huntington University’s staff and faculty come together for a Celebration of Service to recognize the years of service they have given to the university. This is also a time to honor the Staff Member of the Year and the Faculty Member of the Year, as well as those retiring. Margaret Pasko, Administrative Assistant to the VP for Student Life, was named Staff Member of the Year 2017-2018. Dr. Dwight Brautigam, Professor of European History and Department Chair of History & Political Science,was named Professor of the Year 2017-2018. Professors Terrell Peace and Linda Urschel are retiring after 20 and 34 years of service, respectively. Registration is still open for a limited time for the 2018 UB Women’s Conference. This conference is filling up quickly, with 200 out of 250 spots already filled. The UB Women’s Conference is held every two years. Nearly 250 women attended the 2016 conference in Gettysburg, Pa. As with the last few conferences, things get started on Friday afternoon and conclude on Sunday morning. Register for the conference at UBWomen.org. Marilyn and Roger Reeck (third and fourth from left) with their four daughters and their families, at the wedding of Amanda and Amila. Amanda Reeck was married on May 20 to Amila Jayacody. The wedding was held in Comfort, Texas. 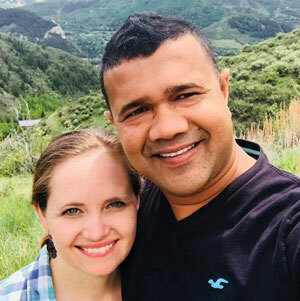 Amanda is one of four daughters of Wycliffe missionaries Roger and Marilyn Reeck, who are endorsed missionaries with UB Global living in Honduras. Amila is from Sri Lanka. Roger worked with two different translation groups, and Marilyn held Trauma Healing sessions and assisted in other ways. On June 4, Roger and Marilyn traveled to Guinea Bissau in West Africa. They will be there unti July 7. Roger will check the Sonike and Flupe translations. The Sonike people are a Muslim group. College Park UB church (Huntington, Ind.) has begun a partnership with YFC Lebanon and their work. A team of eight persons traveled May 31 to work with YFC targeting 12-18 year-olds. Because it is Ramadan (the Muslim time of year during which there is strict fasting from sunrise to sunset), all activities will be after sunset. The team will break fast with Islamic families and then lead in camp-type activities. The teaching will be on the contrast between Muslim fasting and Christian fasting, with the desire to point students to Jesus. They will also spend time with the YFC Beirut Center called Manara (Lighthouse). A quarter of a million people live in 1.6 square miles around the center. Students from many different ethnic groups and religious backgrounds come to the center to be tutored and receive ministry in various capacities. 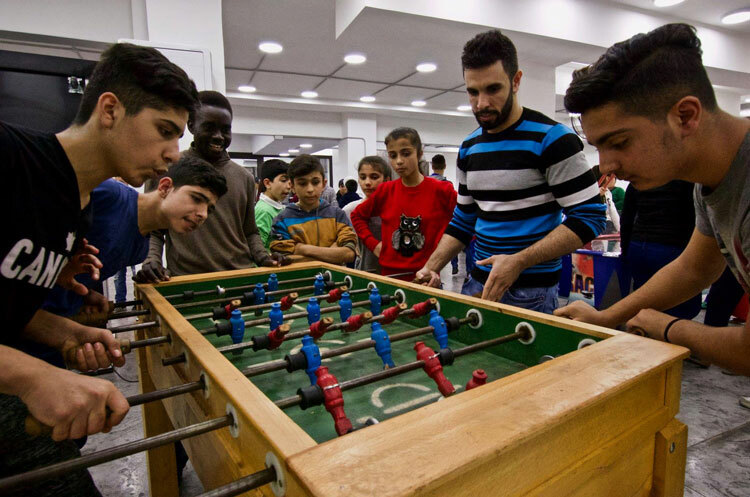 The team will do an outreach night on one evening to high school students (mostly Islamic in background), and one night with middle schoolers. The group return June 10.